Companies can show their dedication to protecting the environment in many different ways such as internal company programs or through promotion of eco-friendly activities. Korean Airlines chose a different route. 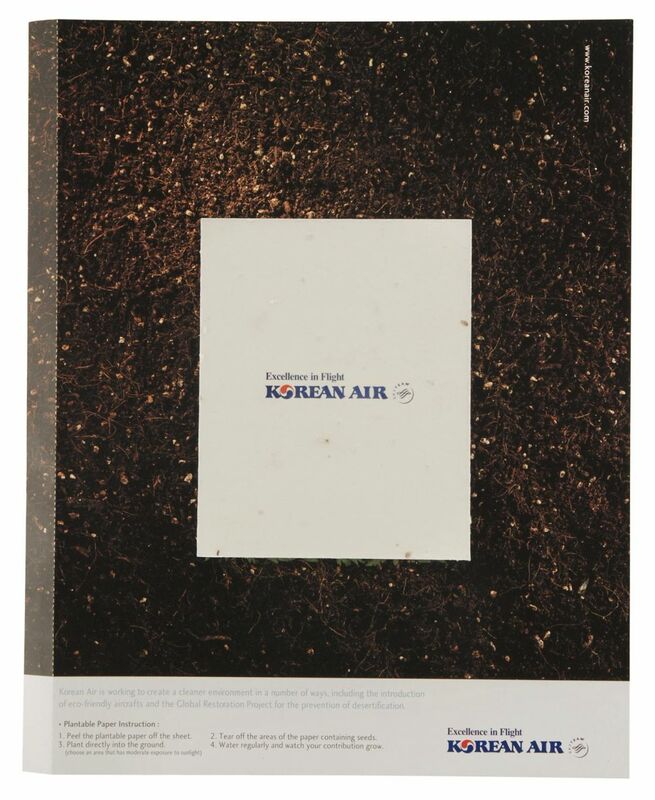 They not only wanted to promote Korean Air and its eco-friendly activities, but they also wanted to challenge the public to do the same while at the same promoting the Korean Air brand. 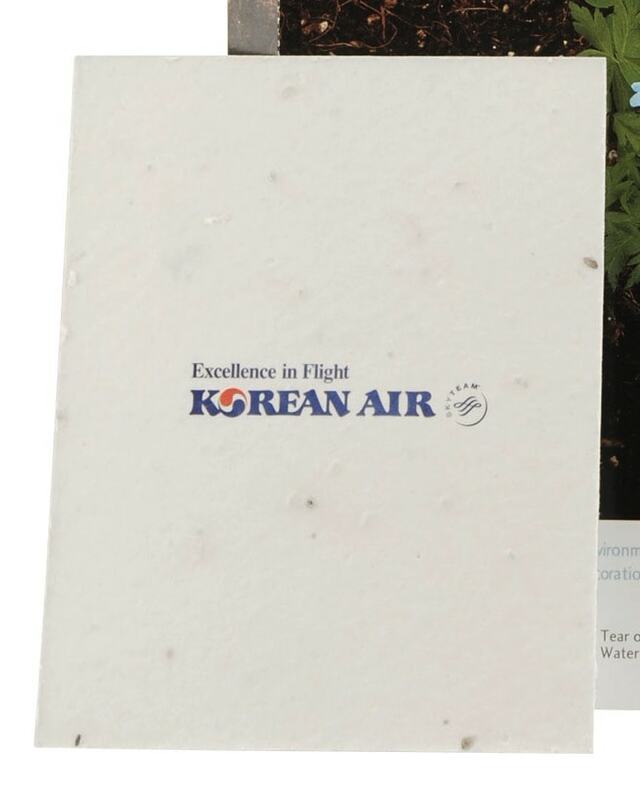 In order to achieve this objective, Korean Air worked with Americhip to design, develop, and produce a unique magazine insert with an in-your-face call to action. The message was simple, “protecting the land protects the sky”. 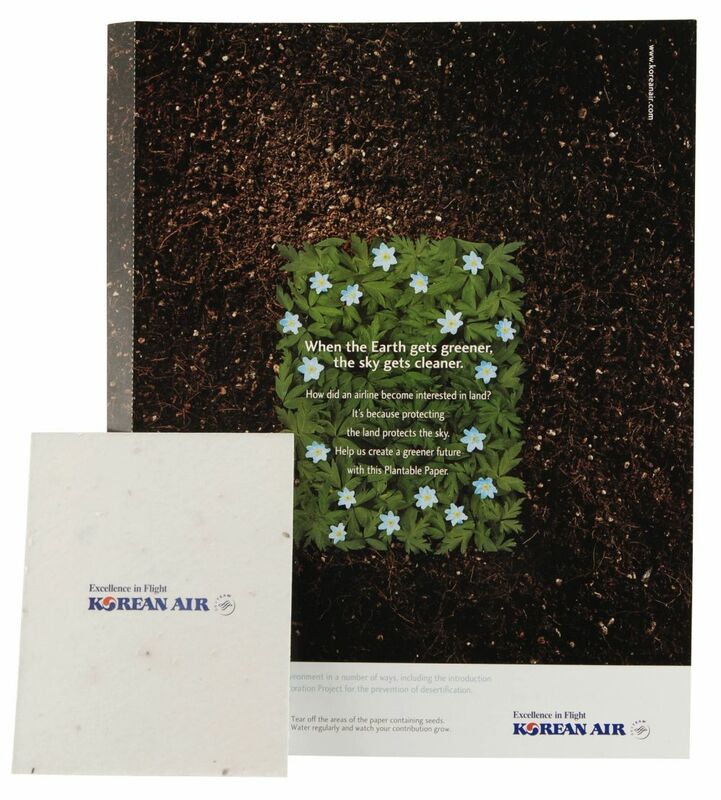 The magazine insert contained a package of seeds that allowed readers to step up and do their part by planting a tree. 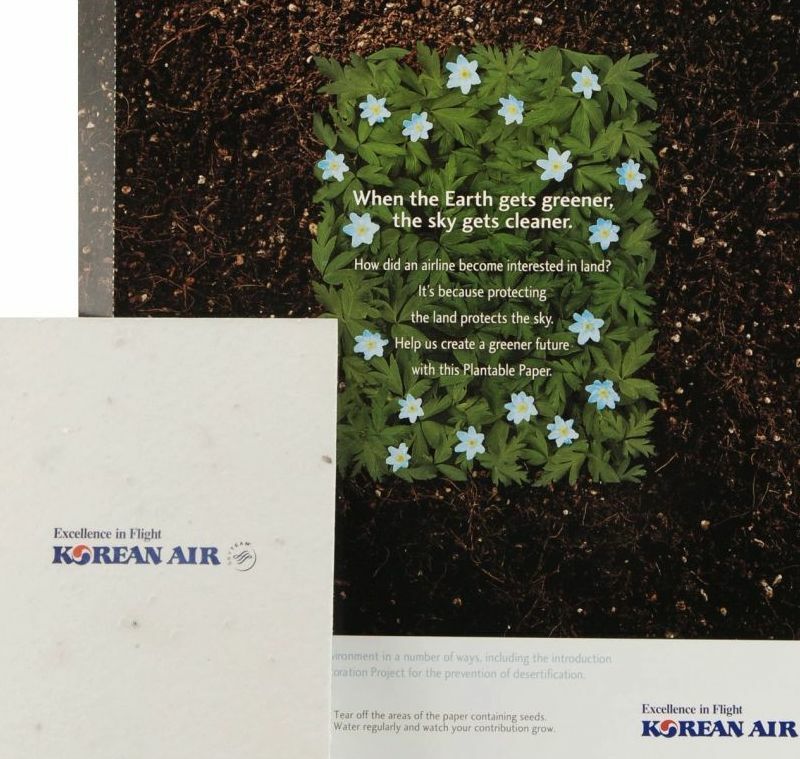 Korean Airlines was now able to increase brand awareness as well as do their part in the promotion and action of protecting the environment.